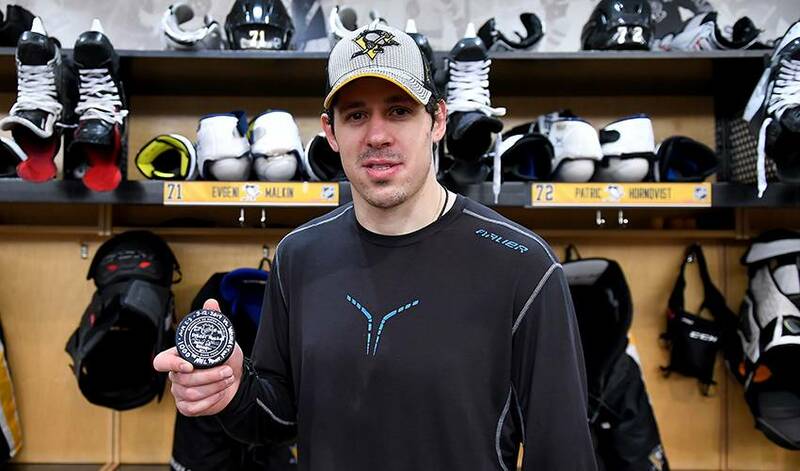 PITTSBURGH — The cameras crowd around Sidney Crosby's stall, parting only to let the Pittsburgh Penguins captain slip through and tug on a baseball cap before the lights flip on, the microphones close in and the questions come. "I think he likes it that way, to be honest with you," said former teammate Brooks Orpik, now a defenceman for the Washington Capitals. "He lets Sid do a lot more of the media stuff. And he kind of does his own thing and flies under the radar. I think he's good with that part of it." Crosby offered a sequence during Pittsburgh's 4-2 win over Boston on Sunday night as proof. Malkin collected a pass at the Penguins' blue line, raced by Bruins forward Peter Cehlarik, slipped the puck underneath Boston defenceman Brandon Carlo's flailing stick — spinning Carlo around completely in the process — then re-gathered it before ripping a wrist shot that soared over the crossbar. The whole thing took five seconds. Even now, 13 years into a partnership as productive as any in modern NHL history, Crosby couldn't help but shake his head. There have been signs of late, like his sizzling end-to-end rush against Boston or the way he quarterbacked a resurgent power play that scored twice against the Capitals. They are things that he's done with astonishing regularity through the years, so much so that when he doesn't do them the discussion centres on what he's doing wrong rather than an appreciation for all the things he's done right.